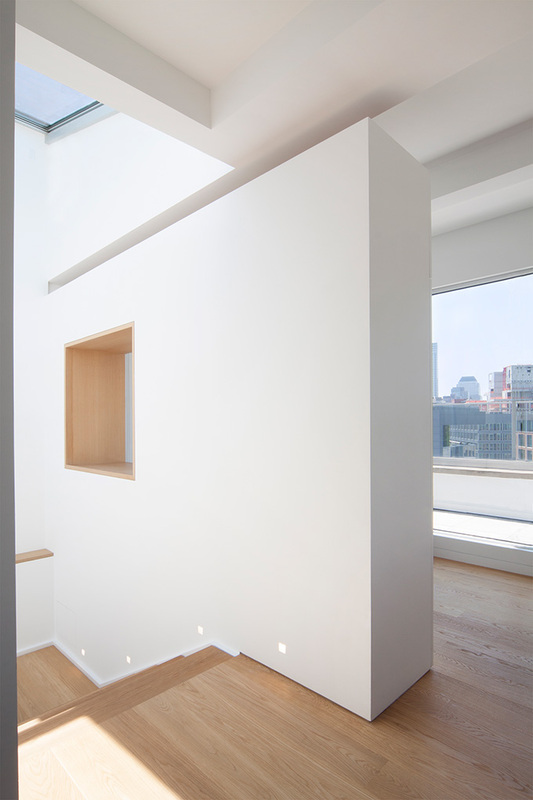 This project is located on Canal Street in NYC, at the border between Soho and Tribeca. 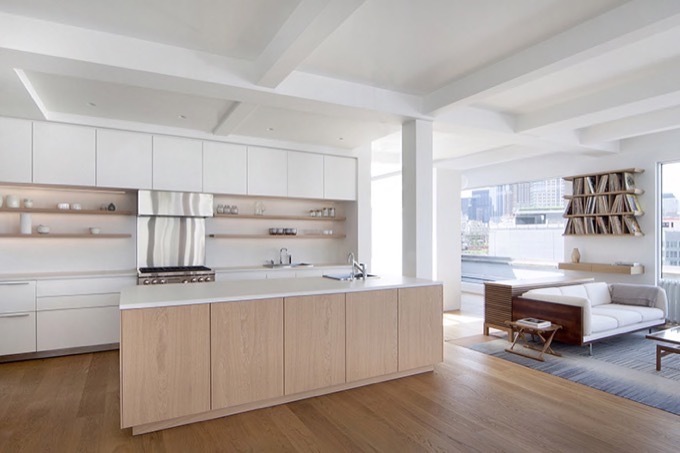 The space has beautiful views on the Hudson River, as well as the entire downtown Manhattan skyline. 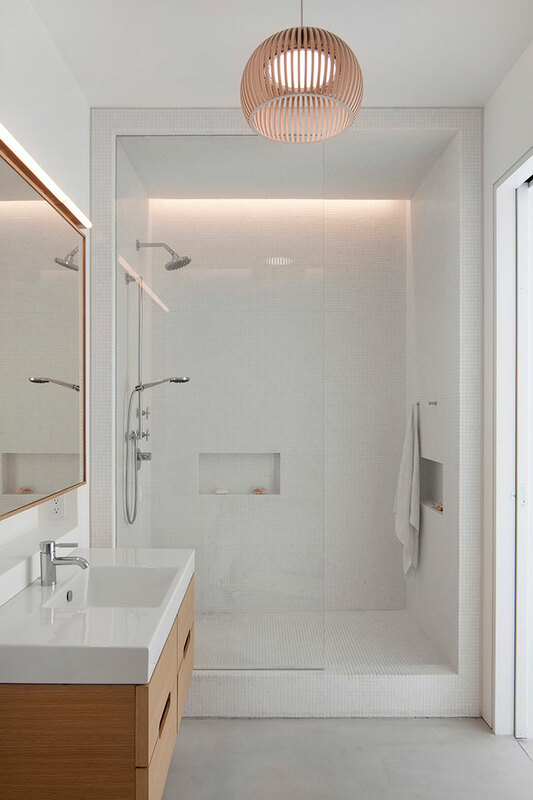 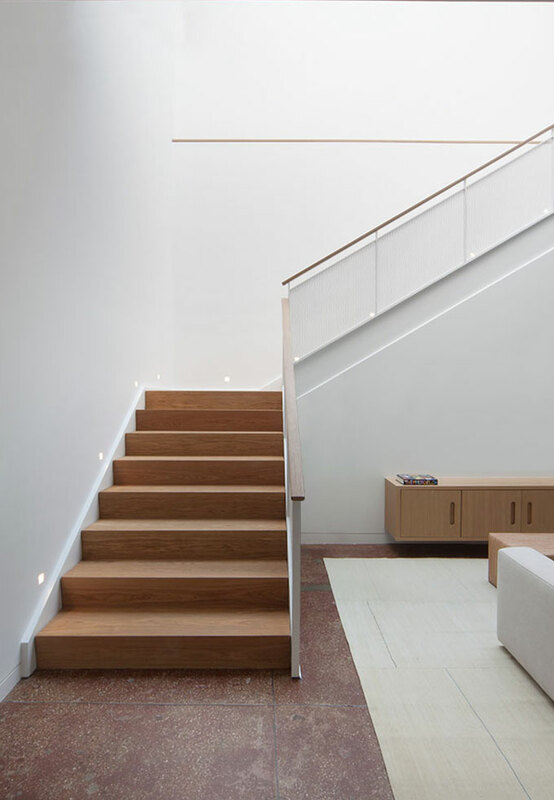 Our desire was to maintain the spatial openness of the original duplex, while guaranteeing adequate privacy for our clients, a family of four with 2 young children. 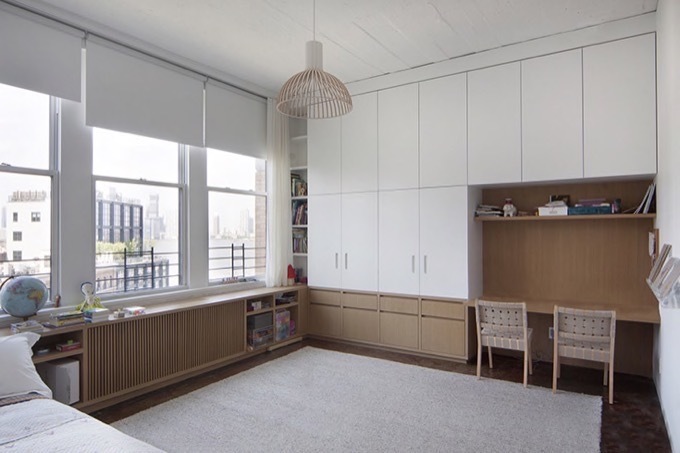 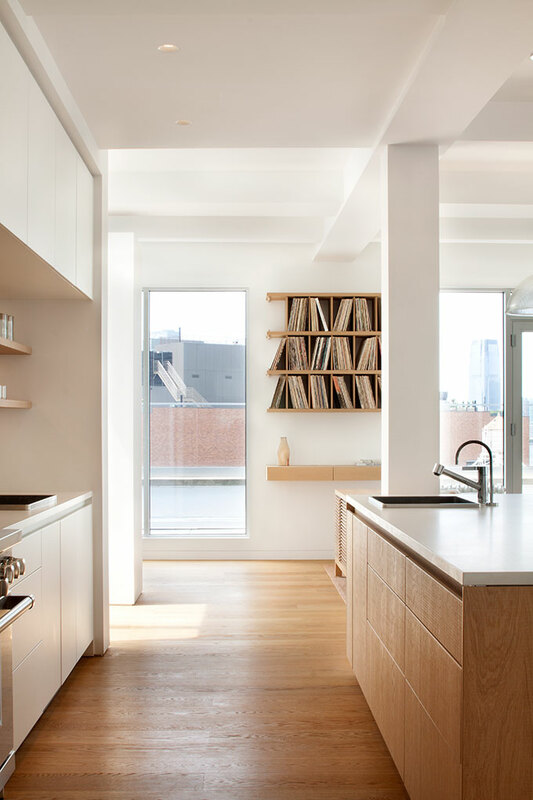 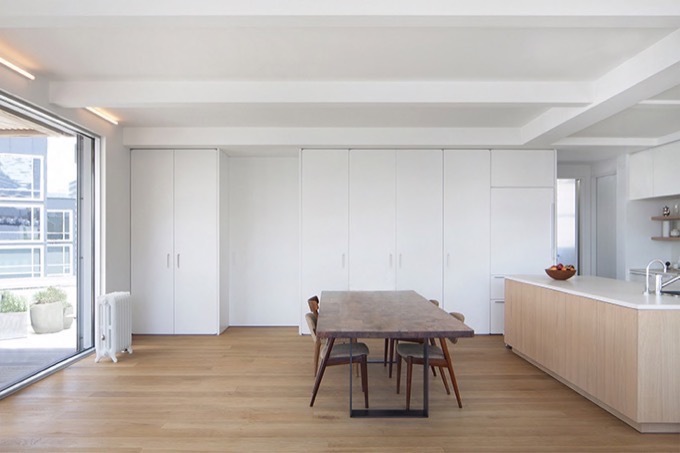 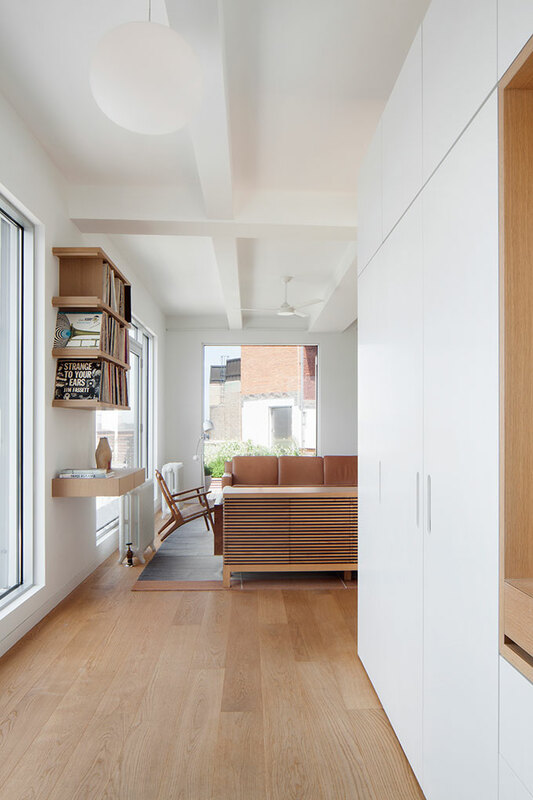 To take most advantage of the city views, the program is thoughtfully distributed along the perimeter, collecting all storage and secondary items towards the inside of the apartment. 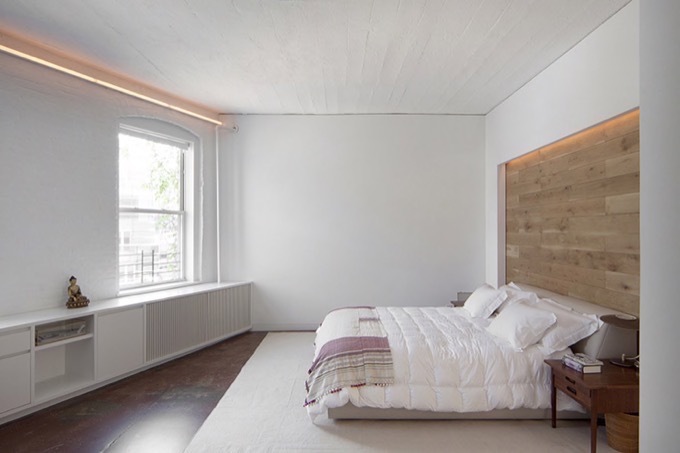 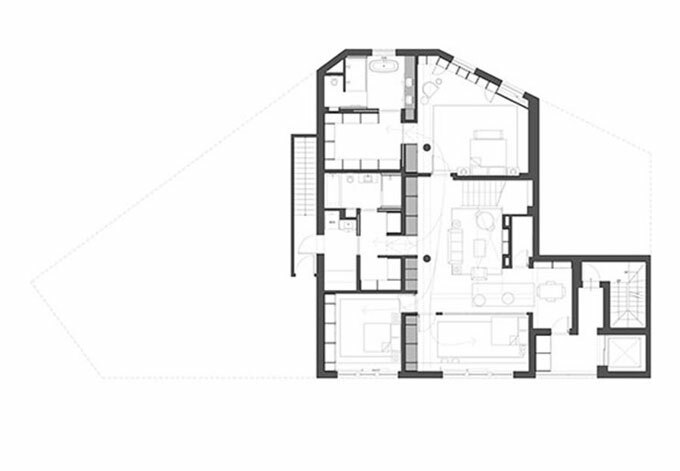 On the lower floor the bedrooms and family area pivot around a central, compact storage volume. 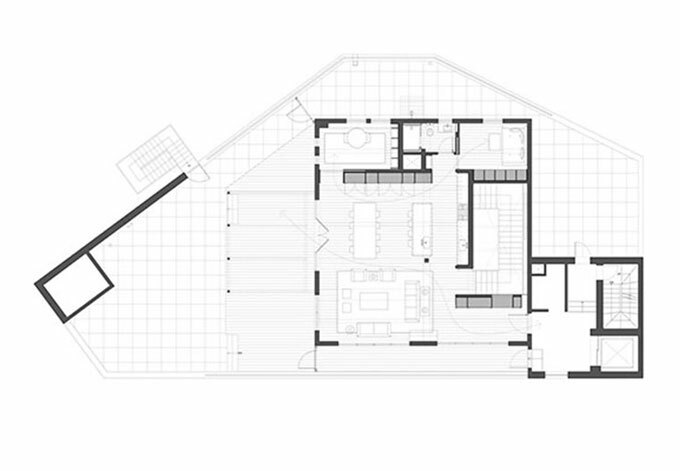 On the upper floor, the entry, living room, kitchen and dining area all open onto one another, separated from the study and entertainment areas by a continuous storage spine. 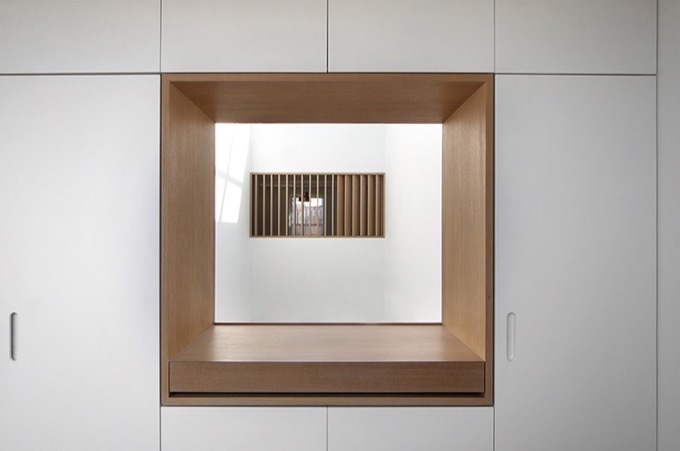 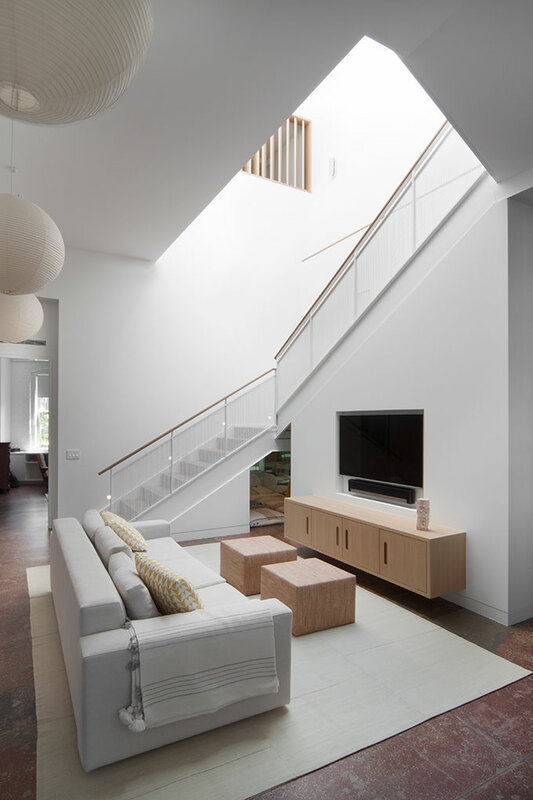 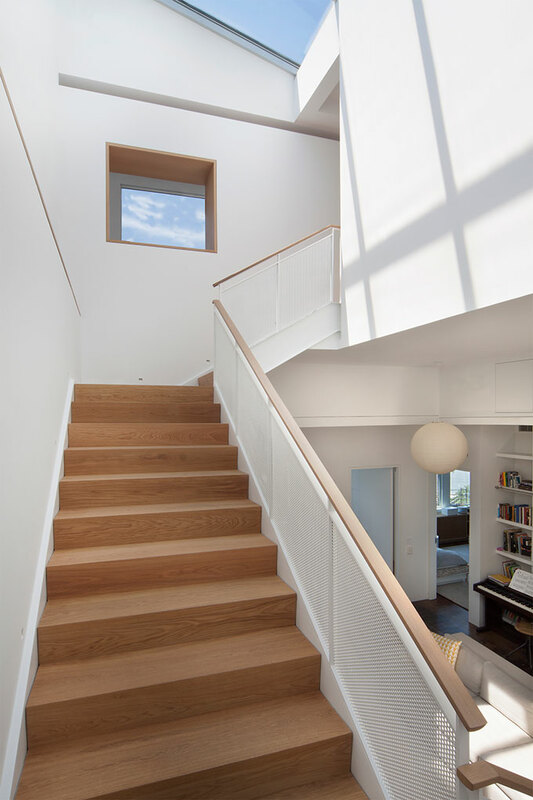 The connecting stair with it's wide opening, allows for daylight to travel freely throughout the spaces enhancing the desired openness of the space.